Monument Valley Mittens photo by Robin H00d on flickr, licensed under Creative Commons 2.0. Gigantic rock formations, towering buttes, desolate desert, and some of the clearest blue sky you've ever seen...it looks like a National Park, but the isolated Monument Valley is actually part of the Navajo Nation Reservation. 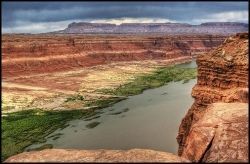 The Navajo Nation has the right to govern itself, and covers part of Arizona, Utah, and New Mexico. There are almost 300,000 Native Americans in this jurisdiction. 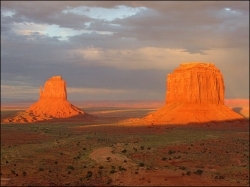 Monument Valley is best accessed through the Monument Vally Navajo Tribal Park, in the heart of valley. 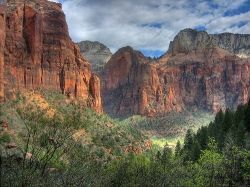 Through a 17-mile dirt road "Valley Drive" tour, you can view the entire valley, right up to the rock buttes known as "the mittens." 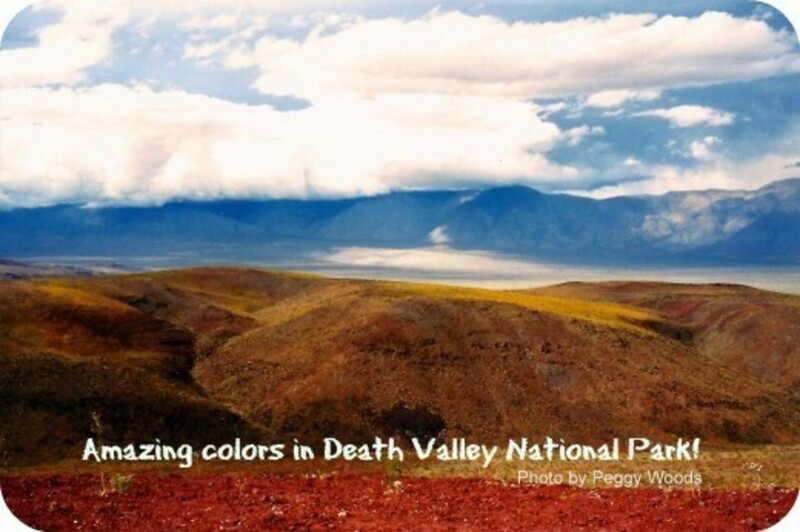 It's tough on most cars, so if you're planning a trek to the valley, either take a 4-wheel drive vehicle, or better yet, take one of the 3-hour jeep tours on site. That's not dÃ©jÃ vu you're experiencing, you've most likely seen the image of Monument Valley's "Mittens" in advertising, western films, music videos, photography and art countless times without knowing it was Monument Valley. This highly photographed area of the Southwest is the "Mittens" section of Monument Valley. Several monolithic rock formations tower between 400-1000 feet into the air, casting shadows many times that size across the desert valley floor. Here's an excellent guide for photography of Monument Vallley, where to go, and what to do. 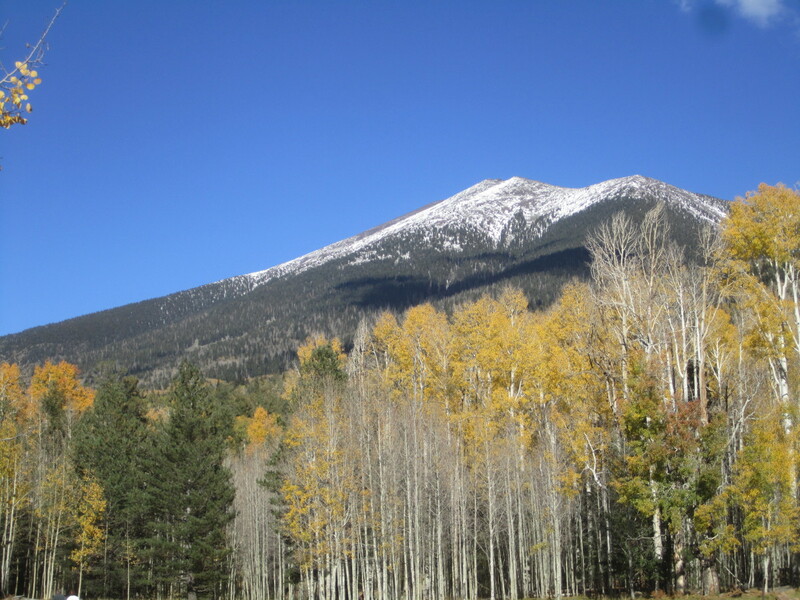 No matter where you are in the United States, a National Park is nearby. Have you heard of Monument Valley before reading this page? Monument Valley's huge formations are made of sandstone, eroded over time by water and wind, to leave the giant buttes here presently. 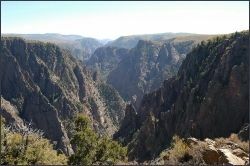 The entire valley was comprised of sandstone at one time, and the valley formations will one day disappear from erosion in the distant future. 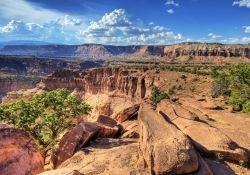 If you're headed to Monument Valley, the best plan might be to make a long day-trip out of the valley from the Canyonlands National Park, Bryce Canyon, Zion National Park, or any of the other "Grand Circle" locations. 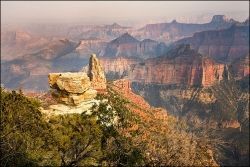 The Grand Circle is made of 5 Utah National Parks, as well as Monument Valley, Mesa Verde, and the Grand Canyon. All of these locations can be seen in the course of a week to ten days, depending on how long you stay. The weather in Monument Valley is extreme, easily staying in the 90's for most of the day in the peak summer, while lowering down into the 60's at night. Expect winter temperatures stay in the 20's and 30's all day. Summer is peak visitor time to the valley. If you're headed to Monument Valley, you're going to want as much info about it ahead of time before you get there. 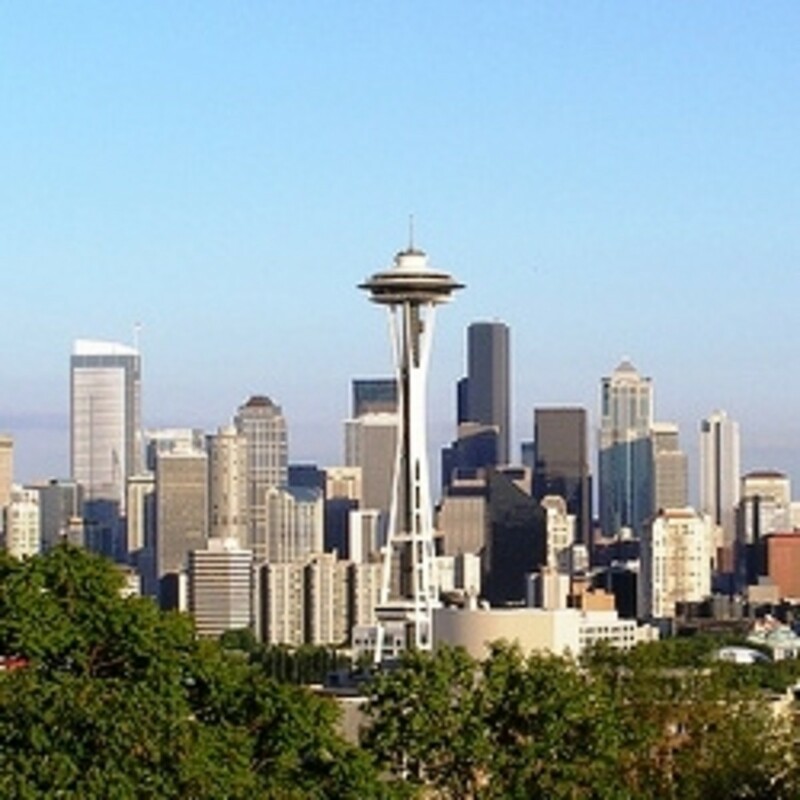 This guide will teach you plenty about the area. 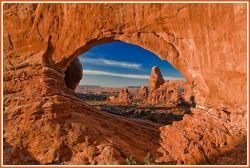 You'll also get an inside glimpse of the towering mittens and buttes of the valley, and some tips for visiting this Navajo park. 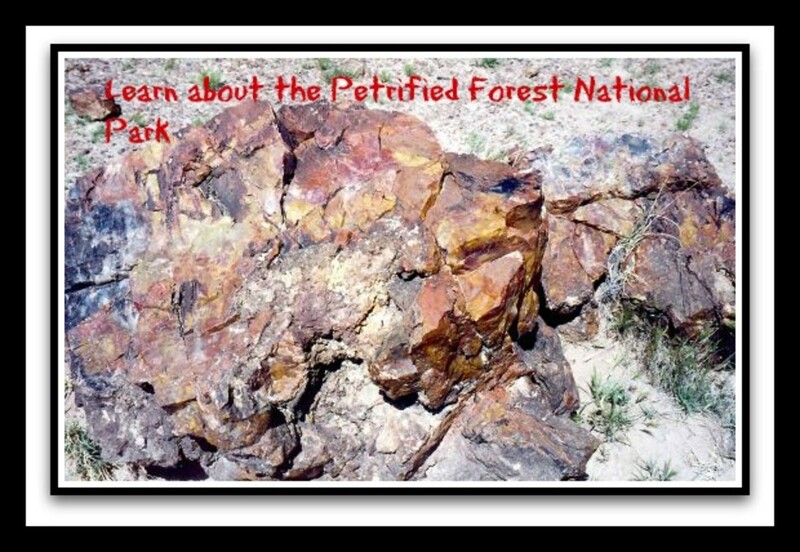 Petrified Forest National Park in Arizona: Amazing Desert Images! I don't think any of those scenic places took millions of years to carve. I think it happened fairly rapidly. I have been to Monument Valley, so that picture IS dÃ©jÃ vu for me! :) It's an amazing place. Took a jeep tour, it was amazing. This is a great guide to Monument Valley. I'd love to visit! Wonderful lens. Monument Valley is great year round and any time of the day. I especially like the afternoons though. A setting sun makes those shadows come to life. Another beautiful and informative lens kiwi. You found some great pictures for this one. We've been close to Monument Valley several times but haven't made it there yet. Might this year. Thanks for the info! Great photos. I'd love to go there to take photographs someday. Thanks for another 5* lens. Very cool place! 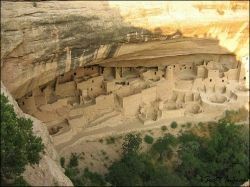 I'd love to visit one day! 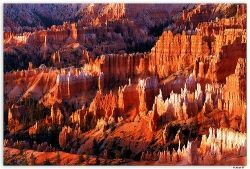 I've been to Monument Valley (Bryce Canyon, Zion National Park etc.) I absolutely loved it. Great lens it brought back some nice memories. What a majestic place and a great lens. Welcome to the Naturally Native Squids group. Don't forget to add your lens link to the appropriate plexo and vote for it. Great lens. I love all your lenses. I've seen pictures of The Mittens before, but didn't realize they were from Monument Valley. Another great lens! Welcome to All Things Travel. Great photos. 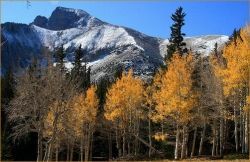 I love the national parks...I'm going to keep look to see if you have some of Yosemite!